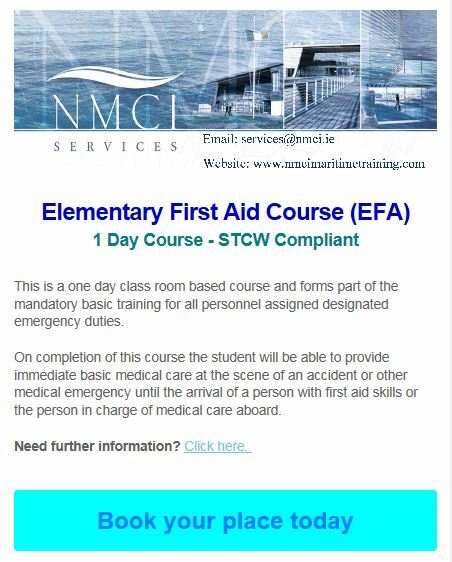 We are running an STCW approved Elementary First Aid Course on May 11th. Due to a high demand for the course we only have a limited number of places left. This is a one day class room based course and forms part of the mandatory basic training for all personnel assigned designated emergency duties. For further information regarding this upcoming course click here.